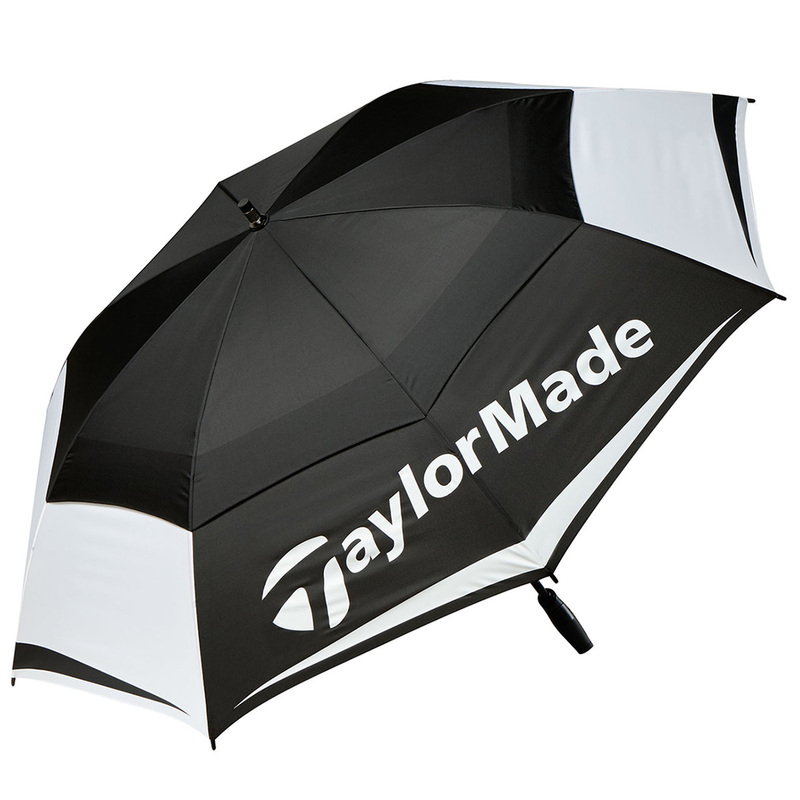 Protect yourself from the rain on the golf course with this magnificent umbrella from TaylorMade. 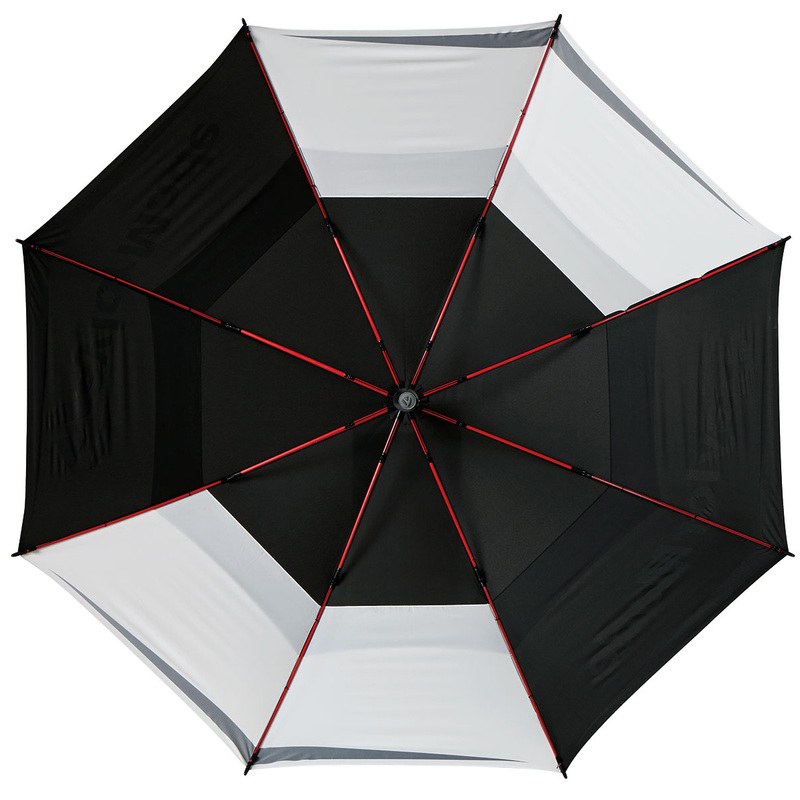 It's huge 64" double canopy offers maximum protection, while it has also been designed with a lightweight fibreglass shaft and an ergonomic sport-grip rubber coated handle for a comfortable carry. 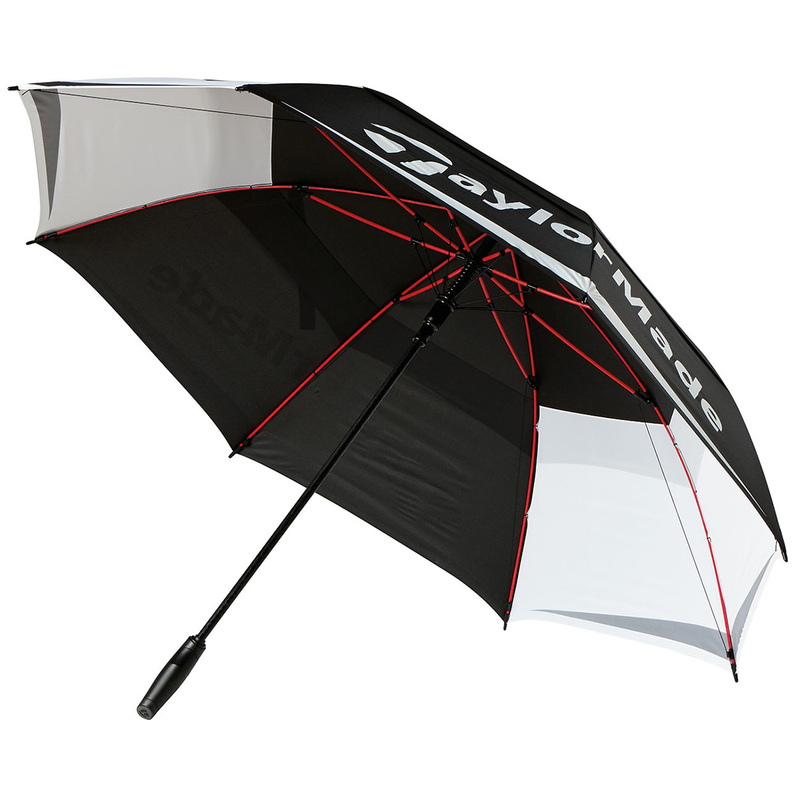 It has also been created with WindPro technology which is designed to withstand heavy winds. The materials are 100% Nylon.